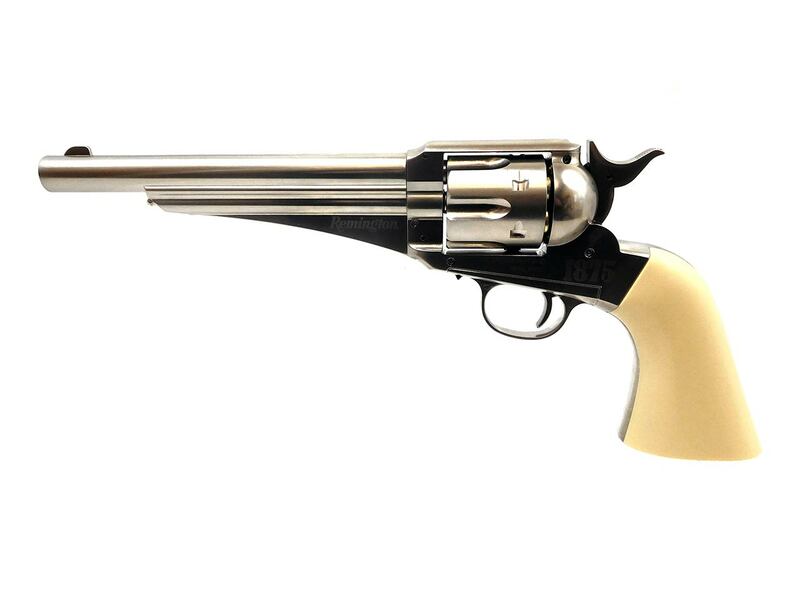 The Remington 1875 is a full size / weight CO2 dual ammo (pellet & BB) replica of one of the most famous firearms in the Old West. 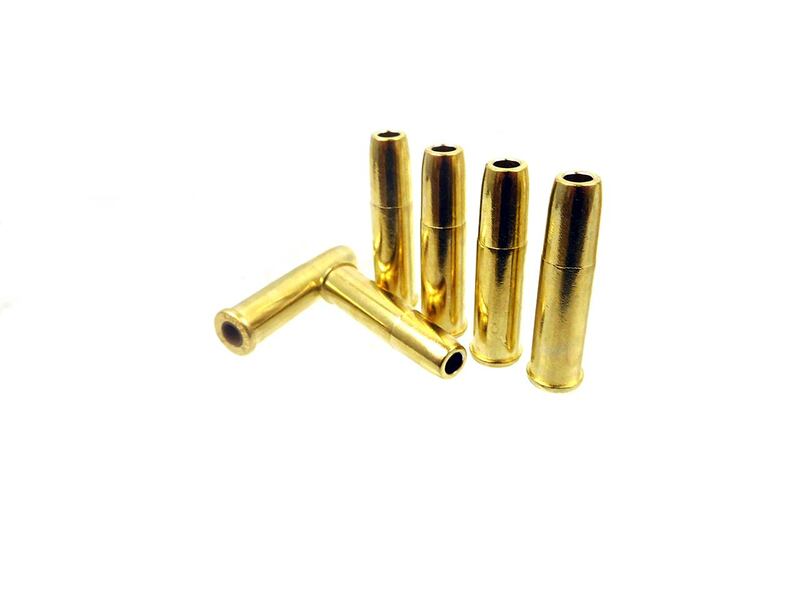 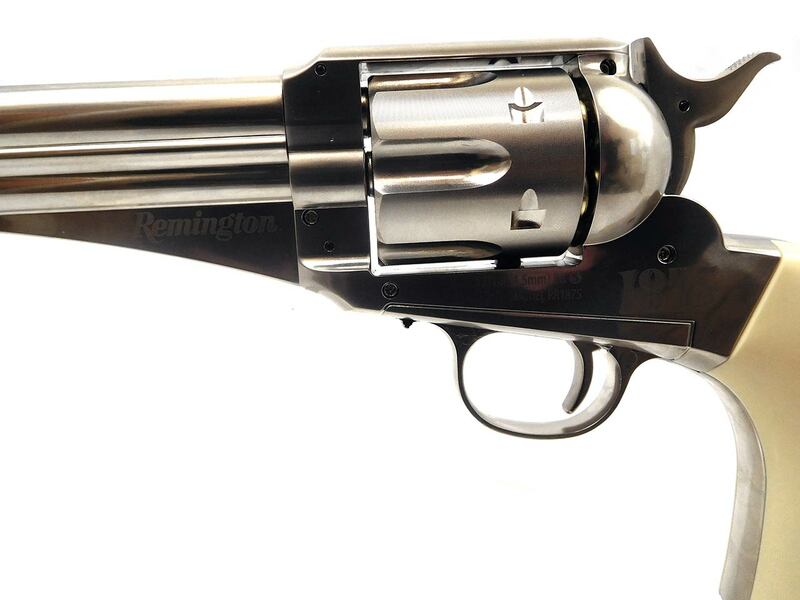 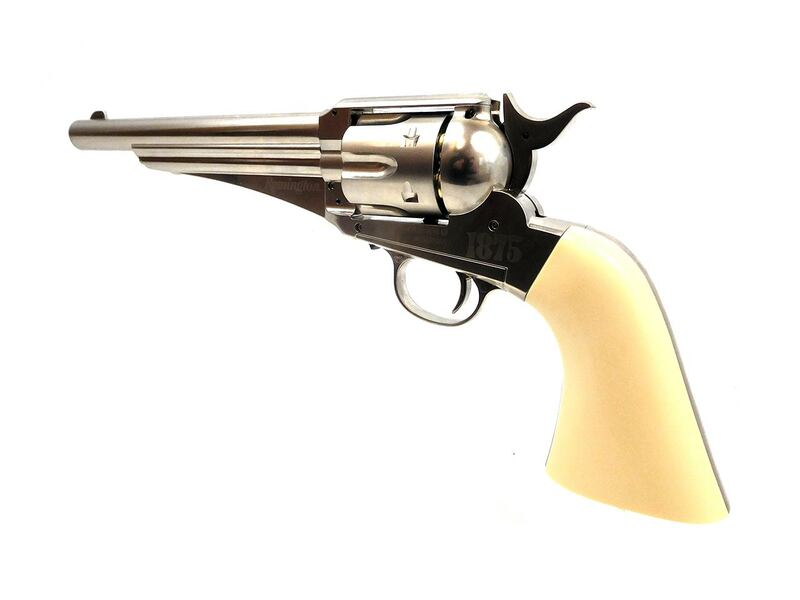 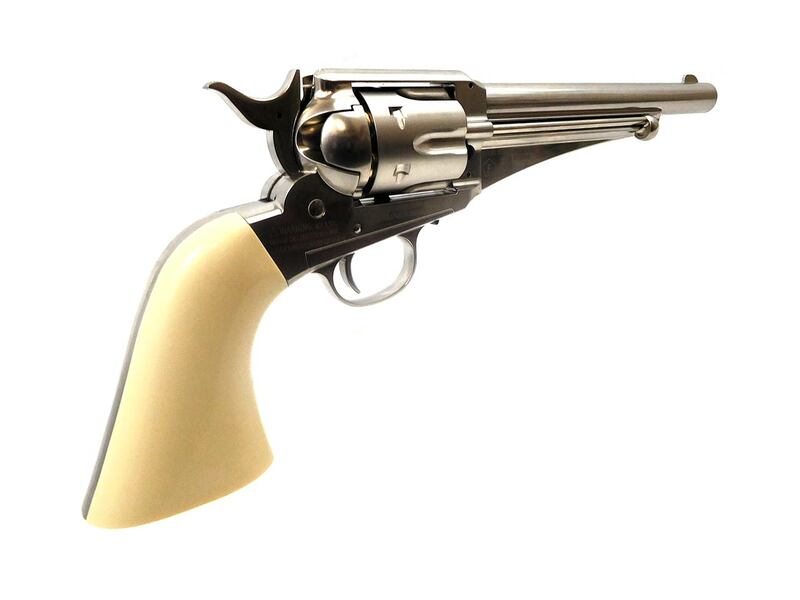 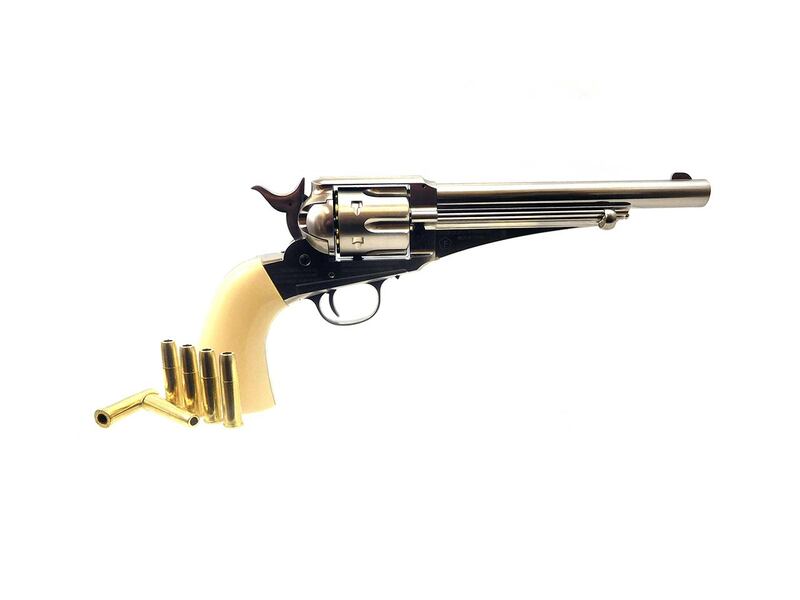 .177 caliber, single action revolver, 6-round removable cylinder with 6 bullet shaped reusable BB and 6 pellet cartridges, nickle finish with fuax ivory grip, working hammer, extractor, and loading gate. 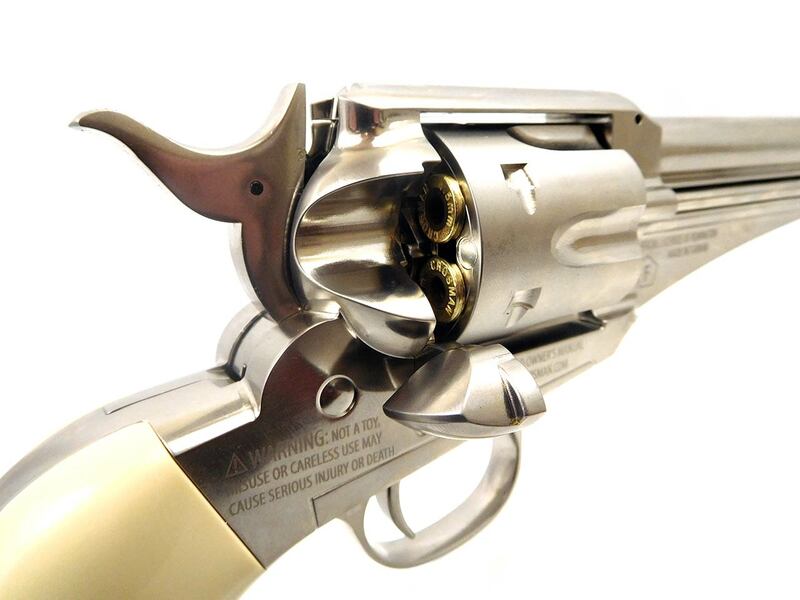 Velocity is rated at up to 410 FPS.